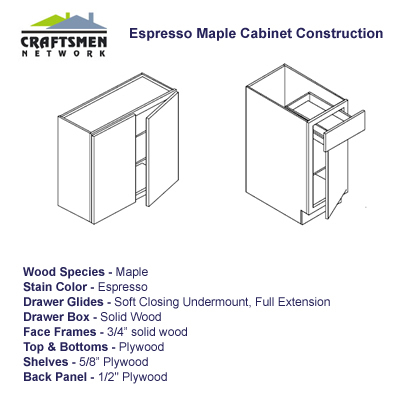 Continually introducing new ways for homeowners to achieve a distinctive look and feel to their kitchens, Craftsmen Network brings you a collection of Espresso Maple Cabinets. Brandishing a dramatic elegance with its darkly gorgeous facade, this maple cabinet option allows the heart of your home to be aglow with a striking combination of welcoming warmth that emanates with individuality that speaks volumes of you personal taste. 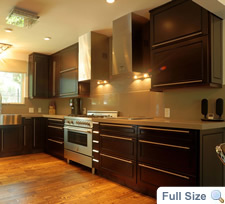 Espresso Maple RTA Cabinets, with their smooth surface and fine grain, are hot kitchen commodities that can very well up the ante of your décor whatever interior setting you have or prefer from elegant to causal. Integrating them into a traditional setting can prove to be fashionable with the timeless intensity that only Espresso Maple Cabinets can provide. And just the same, the stylish and creative in heart will surely find it a delight to mix these up into the overall design to come up with an in vogue, customized look. Constructed from maple - a household name for its natural strength and beauty, this gorgeous line of cabinetry is durable enough to take on the hard labor of everyday kitchen life. Even with its simple symmetry, the deep richness of their distinct finish is enough to make appealing visual points out of them. 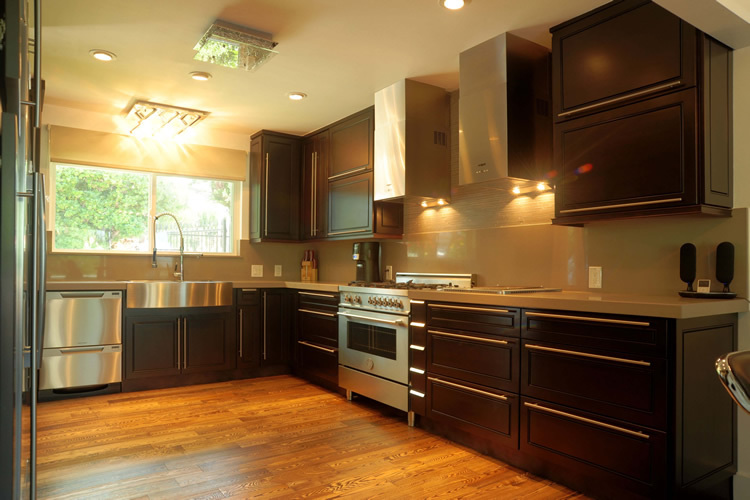 This makes Espresso Maple Cabinets enduring beauties to grace your homes with their luscious darkness for a long, long time. Upholding a core value that revolves around value and service, Craftsmen Network smoothly delivers a delectable range of premium RTA cabinet series that are of high quality and can be availed of in the most reasonable prices.